TWO REPORTS INTO Fine Gael’s disastrous general election campaign have been sent to members of the parliamentary party. The reports look at what went wrong in the campaign on the run up to the election last February, where the party failed to secure enough of the vote to have their Government reelected. They also set out recommendations for how the party should go forward in addressing the issues. RTÉ reports that they were sent to members of the parliamentary party recently. The first report was compiled by five party TDs - Maria Bailey, Peter Burke, Alan Farrell, Kate O’Connell and Patrick O’Donovan – and Senator Maura Hopkins. Together they interviewed 400 people, including election candidates, councillors, senators, TDs and others. On the back of the research, the authors of the report recommended a number of measures. Among these, the report states that Fine Gael “must temper its language and combat any negative perception of the Party that may exist”. It states that representatives should “avoid unnecessary political or technical jargon and address people in daily language”. It also recommends more communication between different levels of the party. “TDs and Councillors should both receive the same briefings and should be made aware of any issues or progress that affects them,” the report states. The report is also critical of stage managing of press conferences, saying that it needs to be decreased. The second report was conducted by Dr Marion Coy, and is entitled Reading the Past to Shape the Future. 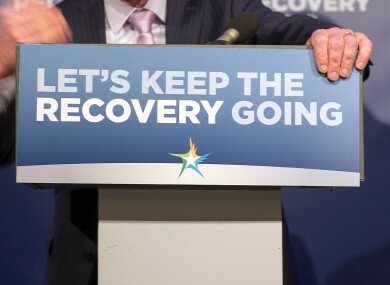 This sets out a number of measures for Fine Gael to recover following the general election. Coy states, however, that there is “not a lot of time available” for the party to carry out the recommendations given. “The protracted discussions on government formation that followed a dour campaign may lead some to hope for a period of “peace and quiet”,” states Coy. The sentiment is understandable but entirely misguided. The reports were discussed recently at the Fine Gael party think-in. “The purpose of it [the report] wasn’t to hang, draw or quarter anyone, it was to look to the future. It is a positive document,” said one of the authors Kate O’Connell at the time. Email “Report into disastrous Fine Gael election campaign calls for members to be "more relatable" ”. Feedback on “Report into disastrous Fine Gael election campaign calls for members to be "more relatable" ”.